Why am I writing One Step Ahead of Disaster? I traveled the route of my characters in my to-be-published book: Behind the Forgotten Front to provide the reader with visuals of unfamiliar terms and places. I’m not sure if I should characterize my trip as an escape from reality or trip to another world. 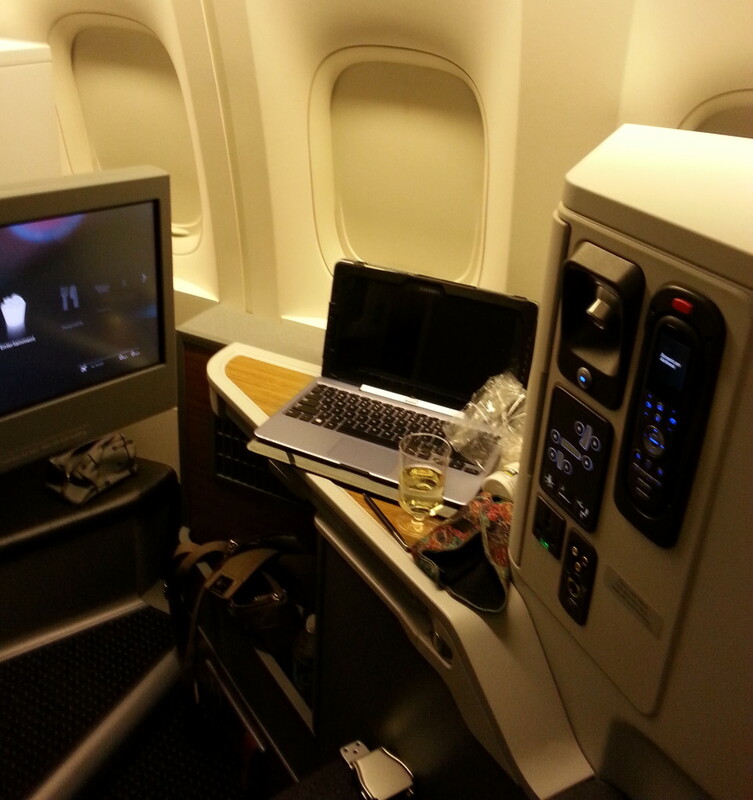 In American Airlines business class, I had a private movie screen, charging ports for computer, mp3 and phone, more alcohol than my body can tolerate and the luxury of stretching out for a comfortable night of sleep. I slipped into that comfort zone too quickly and found my five hour layover in London expand into twenty four hours. For luggage, I used a 21 inch carry on that could be converted into a backpack, duffle bag, or roller. 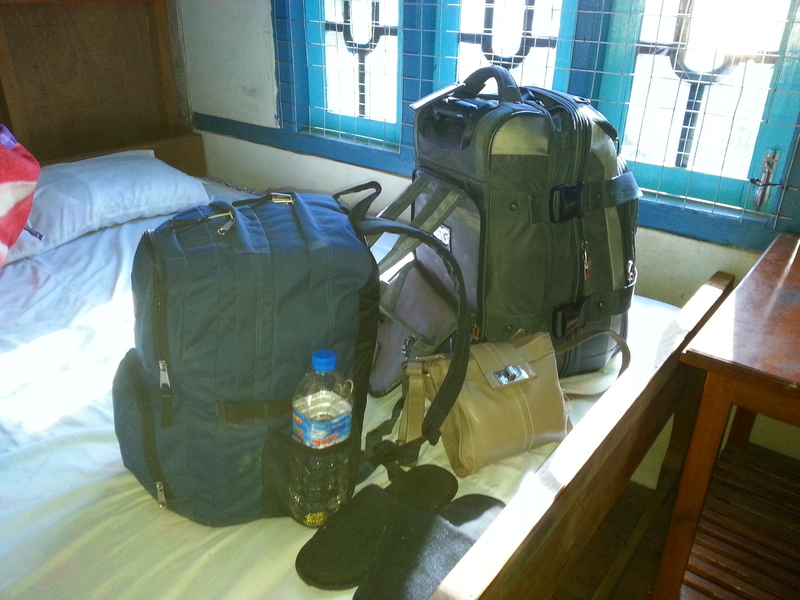 My day pack carried all my electronic gear, such as chargers and cords and plenty of water. The purse carried ID and money but like any seasoned traveler I had copies of everything in both my other pieces of luggage in case something was lost or stolen. I also found travel slippers (or flip-flops) great for when you couldn’t use your shoes inside – I’ve been in too many gyms and did not want to get athletes foot. The worst thing that could happen would be to get sick. So I took a peptobismol tablet each morning to coat my stomach and carried both immodium and cipro but didn’t need either. 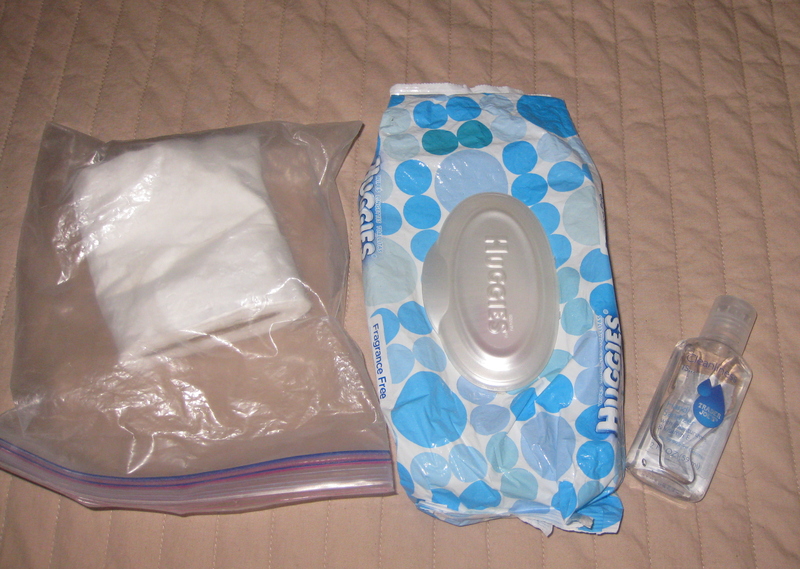 Having gel when I needed soap, wipes for washing my face or after getting muddy and there was no water around, and a roll of trusty TP kept me a happy camper. You may want to check out Jodi Ettenberg’s site, Legal Nomads. She has a lot of good travel tips for out of the way places. I was ready for everything, except Heathrow. 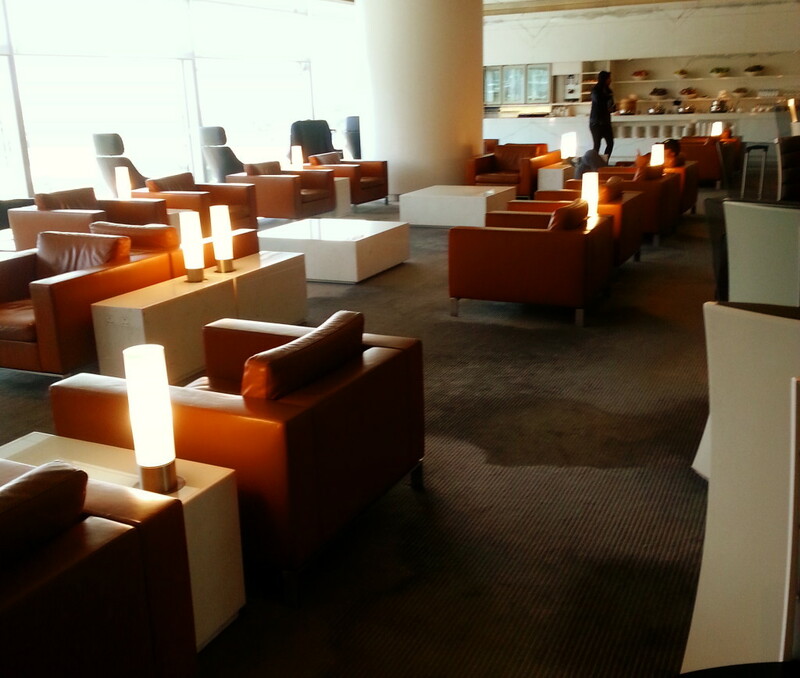 Heathrow’s World Club lounge makes up for their terrible food by offering every type of liquor imaginable. After a shower at the club’s facilities and with the help of a few glasses of wine I was soon in the swing of things. While I relaxed and let my high tech gear do its cloud communicating I observed the travelers. A man in a smart business suit facilitated a Skype broadcast, A salesman using Power Point presented a packaging company software program. The movers-and-shakers of the world are truly on the run. Do they even need to be “in touch” with anyone anymore? When I checked my British Airways stub for boarding time to India, I saw they had posted “gate closing” time. So I dashed out of the lounge, ran the length of the concourse, caught a train to the gate and as I arrived watched the plane taxi out to the runway. Was this a nightmare? No, it was real. But as I found out shortly, the plane was taxing away because there were mechanical malfunctions. In the first of more to come “steps” ahead of disaster, I was shipped out to a local hotel for the night.